The drinks / dinner roundtable next Thursday the 14th that Basware are hosting and during which I’m leading a discussion about the future role of the CPO “in a post-digitised world”. It’s at the Covent Garden Hotel in London, and we still have a few seats available – good food, good company/networking and a good discussion, I’m sure. Take a look here if you are interested. I’m speaking on June 21st at the Health Care Supplies Association summer conference in Solihull. There’s a lot going in the sector with the new “future operating model” finally kicking in, national contract initiatives and more. And just in time for that event, Virtualstock announced a sponsorship of HCSA which “demonstrates Virtualstock’s continuous commitment to supporting the NHS in reaching its efficiency targets through its online catalogue and procure-to-pay (P2P) solution, The Edge4Health™. By connecting providers and suppliers on an online marketplace, The Edge4Health is currently helping the NHS achieve the £1bn p.a. procurement efficiency savings as identified by Lord Carter, in partnership with NHS Shared Business Services”. Suddenly a cry came up from my wife – “Peter! Come here”! Yes, it was another procurement connection, as the daughter of Herman and Nicolette Fick of Intenda, and Nicolette herself, featured on the show! Herman was one of the founders of the (originally South African) firm, which has developed some very smart software in a number of areas including around sourcing. 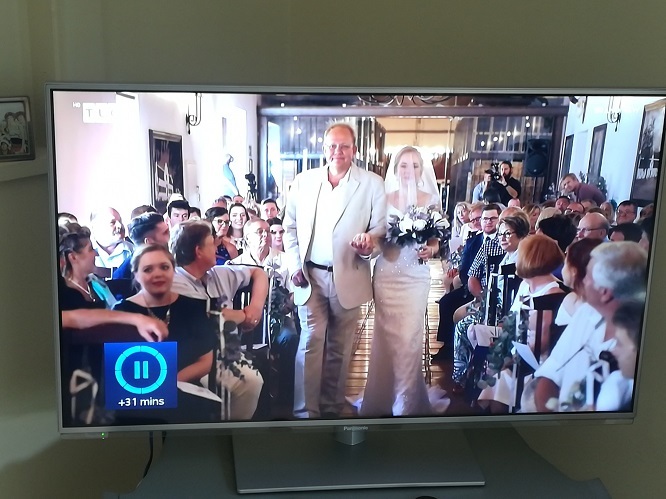 Here is the lovely Herman leading his even lovelier daughter down the aisle - congratulations! The 1975 are back with the naggingly insistent, catchy and generally excellent Give Yourself A Try. Matt Healy has grown into being a real rock star, and we’re still boasting about having seem them at the West End Centre Aldershot with around 150 people back in early 2013. The new album in out in October and they will release another next May, they have promised. By then they may just be the biggest rock band in the world.